11.4" x 16.5" stitched on 14 count. 8.8" x 12.8" stitched on 18 count. 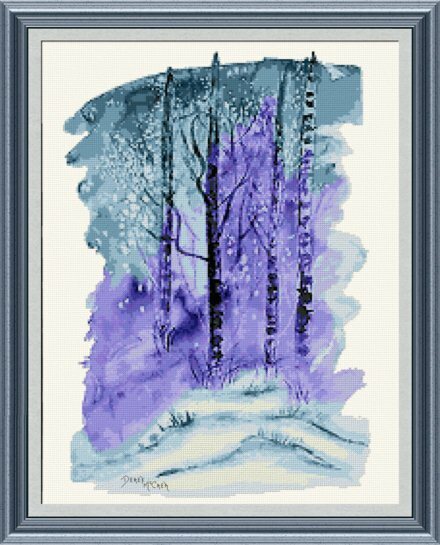 Winter cross stitch pattern... Exclusive crosstitch design based on an original painting.